The City of Irwindale, also known as "Jardin de Roca," Spanish for "Garden of Rocks." The city was founded in 1860 and incorporated in 1957. 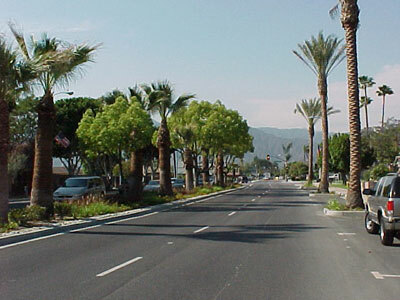 Irwindale has enjoyed progressive growth, guided by a unique vision distinguishing it as a city that takes pride in its close-knit and family-oriented community environment. Irwindale is located in the heart of the San Gabriel Valley, and just 20 miles east of Downtown Los Angeles. Irwindale is a small, thriving business community in the midst of one of the world's most productive regions. We are home to over 700 businesses, including major satellite offices and headquarters for some of the most well-known companies in the nation, including Ready Pac Produce, MillerCoors, and Charter Communications. Irwindale is undergoing a renaissance, transitioning from a mining-oriented community to a manufacturing and high-tech-based, modern suburban city. This is clearly demonstrated by the completion of the Irwindale Business Center and the arrival of such companies as Charter Communications, LA Times, Iron Mountain, and Superior Communications, to name a few. While the sand and gravel industry remains a moving force in the city's economy, (including such companies as United Rock, Hanson Aggregates, Vulcan and Robertson's Ready Mix) other long-standing successful businesses like Miller Brewing Company, Ready Pac Produce, Davis Wire, Nu-Way Industries, the Irwindale Speedway, Pepsi, Sparkletts, Jacmar Food Service, and Hallet Boats reflect the fact that the city has attracted and retained business and commercial activities of a very dynamic and diverse nature. A clear sign that Irwindale is a place to invest and grow. One significant improvement to the city was a major face-lift to one of our main thoroughfares; the redesign and beautification of the Irwindale Avenue / Arrow Highway intersection located in the heart of Irwindale. New medians with landscaping and color-stamped brick pedestrian crosswalks were added, and decorative new street lights completed the transformation. We will continue to move towards beautification of the city to improve the quality of life for residents and businesses alike. Our commitment is to provide our residential and business community with a safe, beautiful, economically vibrant community through responsible leadership, sound fiscal management, superlative customer service, dedication, teamwork, and integrity. To provide excellent public service and responsible leadership with honor and integrity for the comfort, safety, and convenience of the citizens, customers, and businesses seeking services from the City of Irwindale.